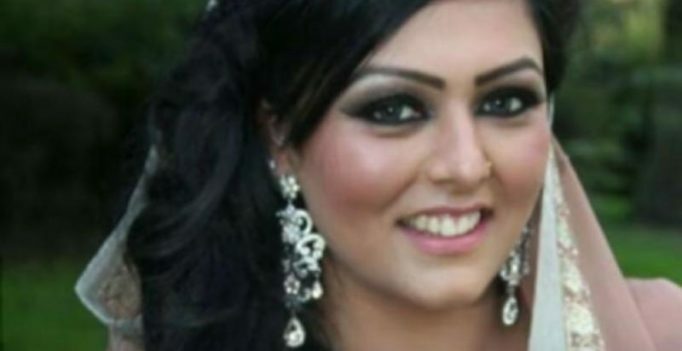 Lahore: In a shocking revelation, the Punjab police has disclosed that the 28-year-old British beautician who was allegedly killed by her ex-husband in an ‘honour killing’ bid in Pakistan, was raped before she was strangled to death. According to reports in Daily Mail, Samia Shahi, who was visiting her relatives in Punjab, was strangled by her first husband using a scarf. Samia’s father Mohammad Shahid was also one of the prime suspects in the case. The police started a probe on the case after Samia’s husband, Syed Mukhtar Kazam, alleged that she was lured to Pakistan with false claims that her father was ill, and was murdered in her bed for marrying outside her sect. During the initial probe, Samia’s former husband Mohammad Shakeel confessed to the police that he strangled her with a scarf for marrying a man from the Shia community. The police are also attempting to have her mother and sister for further questioning. Samia, was found dead on July 20 at her parents’ house in Mangla area of Jhelum district in Punjab province, and was buried in a hasty ceremony. Her murder came over a week after social media celebrity Qandeel Baloch was strangled by her brother “for disgracing” family honour which caused international uproar forcing the Pakistani government to announce the introduction of strict legislation against those involved in honour killings. SC to be approached over question of India vs West Indies ODI in Mumbai?